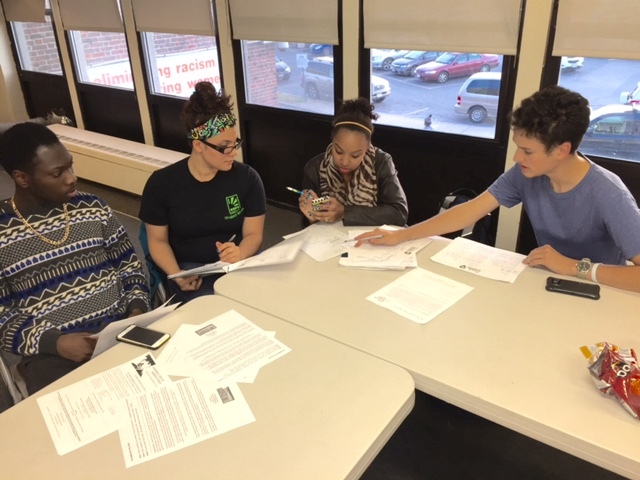 Worcester Youth Marketing Group — Pride Productions, Inc. The initiative was adopted to enhance a new focus to community marketing and promotions. Pride Media, through the emerging of PPI’s multimedia and technology programs, will culminate the best young-adult media talent in the area to perform innovative marketing approaches to support youth initiatives, local merchants and non-profit organizations throughout Central Massachusetts. The marketing team will be recognized as the “Worcester Youth Marketing Group” (WYMG). Pride Media will oversee the development of the WYMG participants and will be prepared to enhance the participant’s critical thinking, writing and public speaking skills. Pride Media’s strategy is to function similarly to departments in an advertising agency or media production service company. The WYMG will perform under three (3) marketing approaches: digital audio, social media, and video production. MISSON To empower youth and broaden their future opportunities through the use of media and technology. VISION To educate and enhance the knowledge of the youth community through creative programs designed to aid the students in achieving success and a sense of accomplishment. The Worcester Youth Marketing Group strives to mold community leaders and positive role models through it's innovative learning environment. GOAL To collaborate with organizations and educational institutions to benefit the youth community, while leading the area in innovative social media programs.